I had visited Majorca on several occasions but never before ventured up to the north of the island. Flight time from London Luton Airport is just over 2 hours, one recommendation for anyone that has booked a coach transfer to accommodation is to pay the extra for a minbus or private taxi. 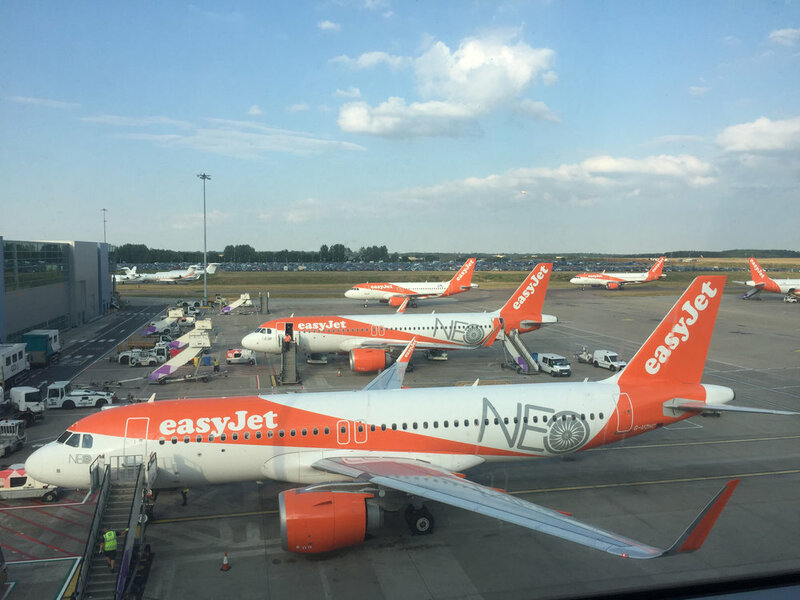 Our Easyjet flight landed at about midnight local time and despite a quick exit through Palma airport the coach sat for over another hour waiting for further flights to arrive rather than set off on the hour long journey to our hotel. At that time of night you just want to get to your destination and sleep, I for one will definitely will pay the additional cost next time. 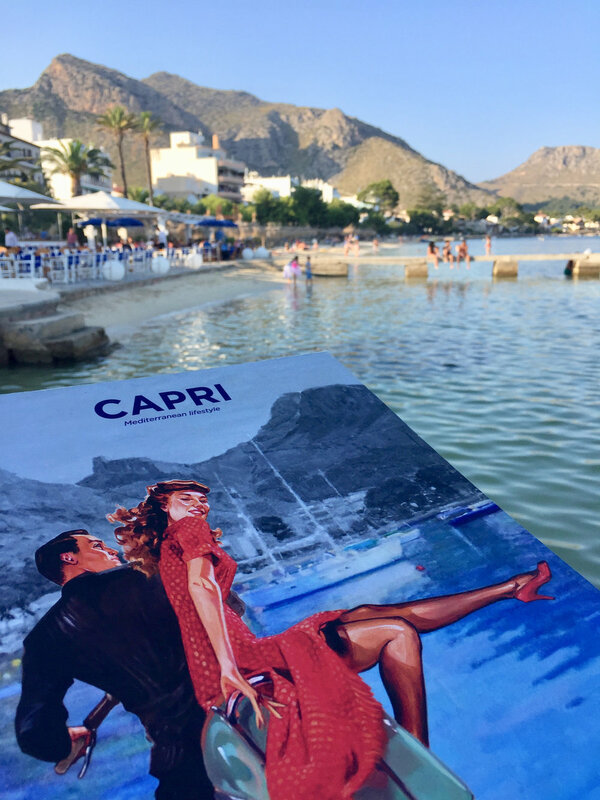 We were staying at The Hoposa Hotel Bahia in Puerto Pollensa, a small and intimate hotel located right on the seafront on the pine walk pedestrian promenade. An old 19th century summer holiday house that was converted in 1960. The hotel was beautifully traditional and to take breakfast on the beachfront was so nice. 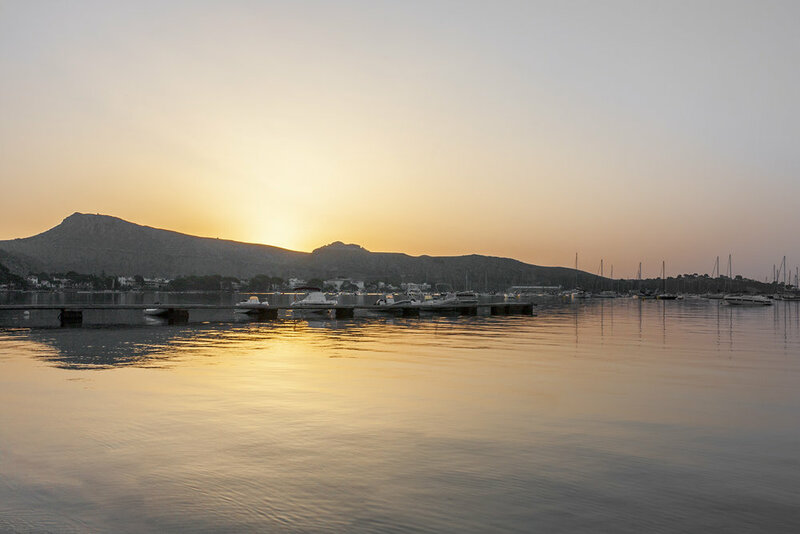 Originally a fishing village, Puerto Pollensa retains the tradition of the evening paseo or stroll. When the heat of the day has abated the tourists and locals alike wander up and down between the marina, stopping to dine at one of the many restaurants and bars that line the route. 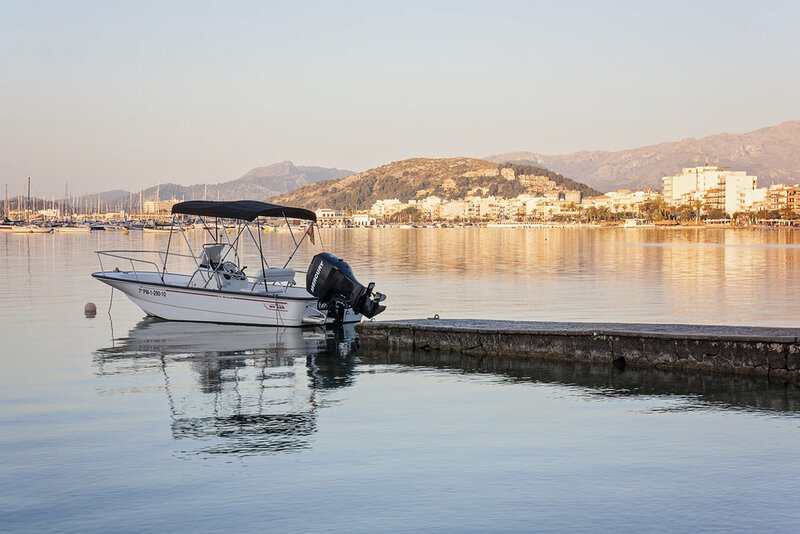 Puerto Pollensa sits in the huge horseshoe-shaped Bay of Pollenca, with the Tramuntana Mountains adding a spectacular backdrop. 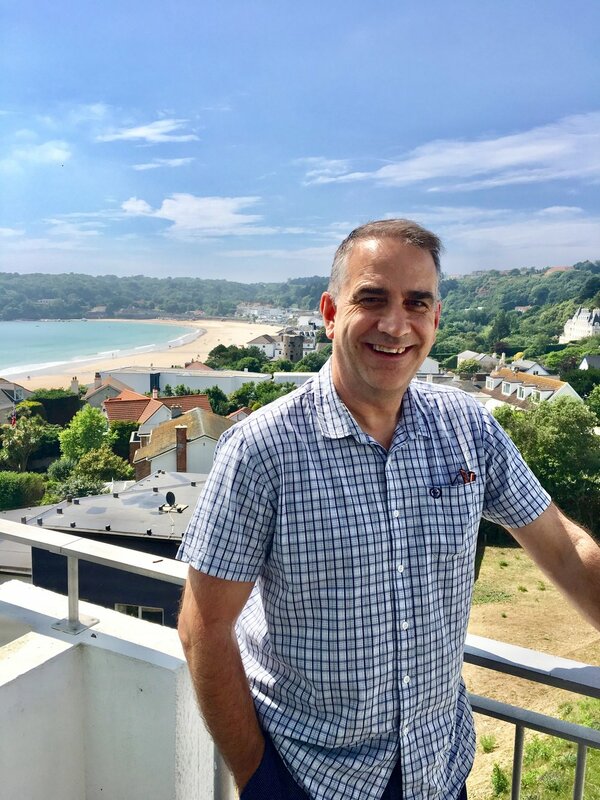 The resort would appeal to all ages, with golden beaches which were patrolled by lifeguards, a pretty town centre, dramatic scenery and buzzing nightlife. On certain evenings the promenade has a lovely craft market too. Beautiful bougainvillea trees can be found in abundance as you walk along the pine walk promenade. For photographers this walk offers so many opportunities, especially at sunrise when the area is deserted apart from a few joggers. There are some great restaurants in the area and I especially liked those stretched out into the sea. It's an experience to eat your dinner whilst the sea is gently lapping underneath your feet. 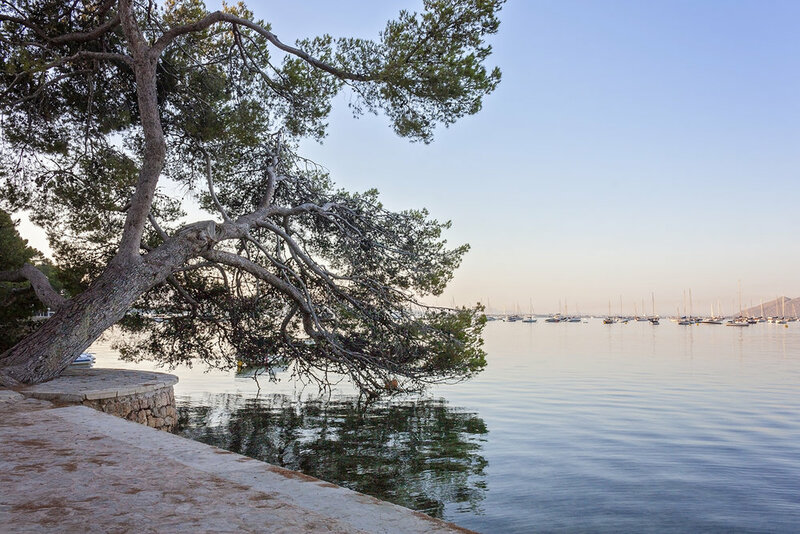 A couple of trips that are well worth a visit whilst you are in Puerto Pollensa are the trips to both Alcudia and the town of Pollensa itself. 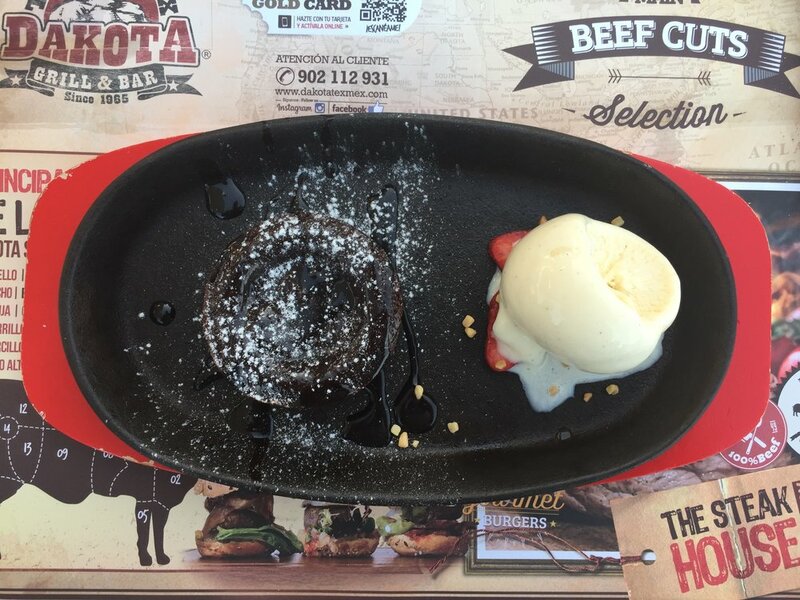 Both are just a short bus ride away, the bus stops are just a short walk from the main centre. Really cheap too, about six euros for four of us. The buses are air conditioned which is welcome when the temperature was in the 30s. 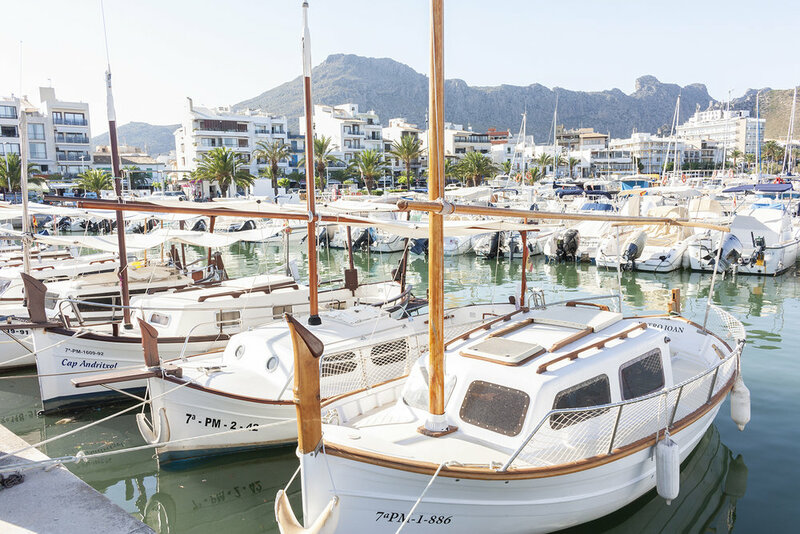 Alcudia has one of the longest beaches in Majorca, an old historic town with cobbled streets, pavement cafes and Roman ruins. We sat at one of the many cafes to watch the World Cup final surrounded by good natured French and Croatian supporters. My favourite trip however was the one to the town of Pollensa. An attractive ancient town with narrow streets, cafes and bars and an impressive main square. Lots of conquering of this town has taken place over the centuries. The most ancient marks left on the local landscape are from the Talaiots, who arrived here more than 3,000 years ago. The best known ones were left by the Romans in 123 and can be found on the outskirts of the small town, which has around 16,000 inhabitants today. Its history is also tied to the legendary order of the Knights Templar, although the towns foundations were laid by the Arabs, they were ousted in 1229 by King Jaime I, supported by hundreds of knights. Previously, the order had been assigned the role of protecting and mentoring the orphan boy king, until he was ready to lead and had learned the art of kingship. Following the successful invasion, the island was divided up and shared, and the knights were given Pollensa. Under their rule, the town prospered, and an austere church built, overlooking the square, the Nostra Senyora de Angels. 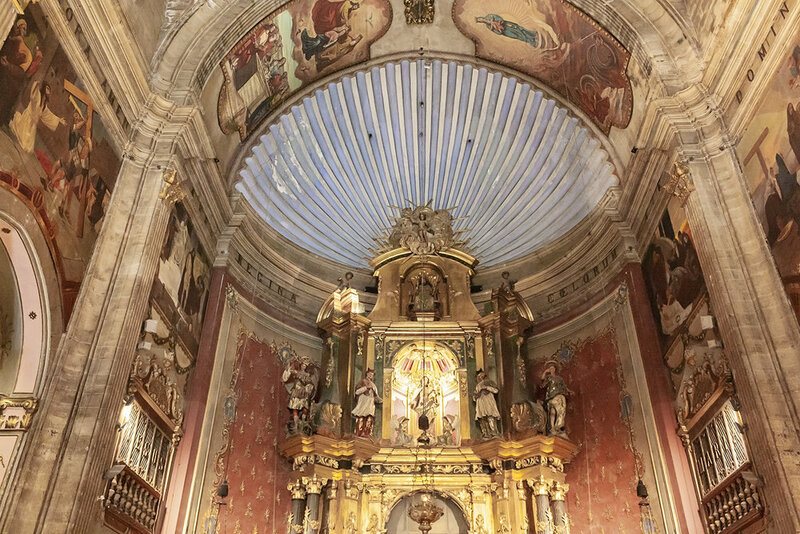 The church was rebuilt in the baroque style in the 18th century. The palace of the Templars still remains, beside the Font des Galles. 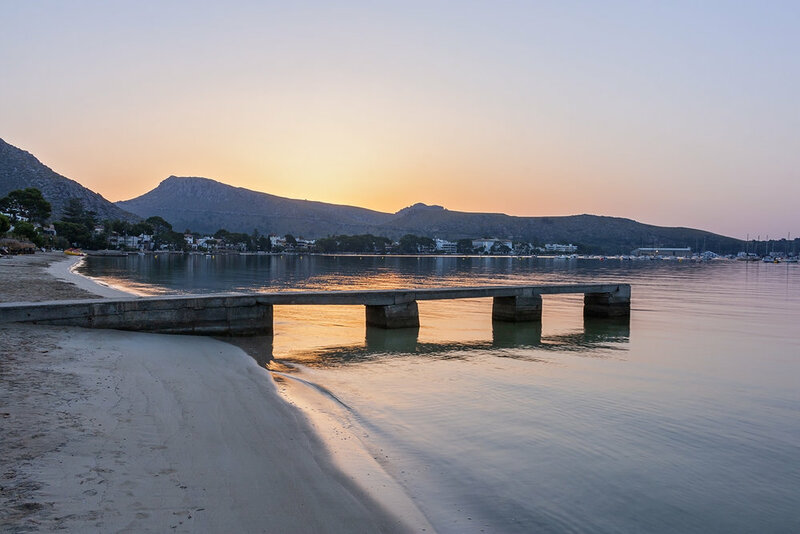 Puerto Pollensa is a beautiful Mediterranean resort, only a short flight away, lots of great restaurants and bars, beautiful beaches and photographic opportunities.